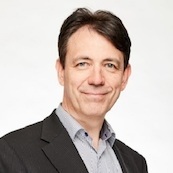 Dominique Bonte, Managing Director and Vice President, leads ABI Research's end markets research team, which covers intelligent transportation, automotive, smart mobility, smart home, smart healthcare, industrial internet, enterprise, smart cities and retail. Personal focus areas include smart cities, Mobility as a Service, autonomous vehicles, connected cars, use of blockchain, cybersecurity and AI in automotive, in-vehicle infotainment, advanced driver assistance systems (ADAS), Vehicle-to-Everything (V2X) and cooperative systems, usage-based insurance, and commercial telematics. Dominique’s background comprises a wealth of telco and mobile device applications experience. He previously worked for Orange and BT in Belgium and held a variety of positions at consumer/industrial technology companies, assuming roles in product management and market research and intelligence. He later started his own company in software consulting for mobile devices, where he acquired extensive experience in mobile satellite navigation software. Dominique holds an MS in Electronics Engineering from the University of Leuven and earned several marketing and business degrees.